As the insurance policyholder or "claimant," you have the option of taking your car to the repair shop of your choice. Your insurance company may provide recommendations to you for DRP shops conveniently located near your residence or place of employment. HOWEVER, it is your choice, and the repair facility you choose is ultimately responsible for the warranty. Chambliss Auto Body Repair provides a LIFETIME WARRANTY on all repairs to give you peace of mind to schedule your vehicle for repairs as soon as possible after an accident. Through our DRP program, work can begin immediately with the issue of an Internet assignment from your insurance company. That means a faster turnaround time, and the repairs will be done properly to your complete satisfaction. 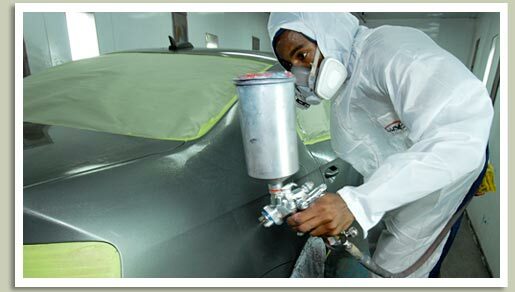 Chambliss Auto Body Repair has the experience to work with "any" insurance company. As a Direct Repair (DRP) certified shop with Allstate, Hanover, Encompass, and Liberty Mutual Insurance, we have been evaluated by these insurance companies and have met strict criteria. To become certified, we must maintain the necessary equipment, training, licensing and management to provide the guaranteed quality repair work they expect from a DRP certified shop.